That’s one way to meet the family! 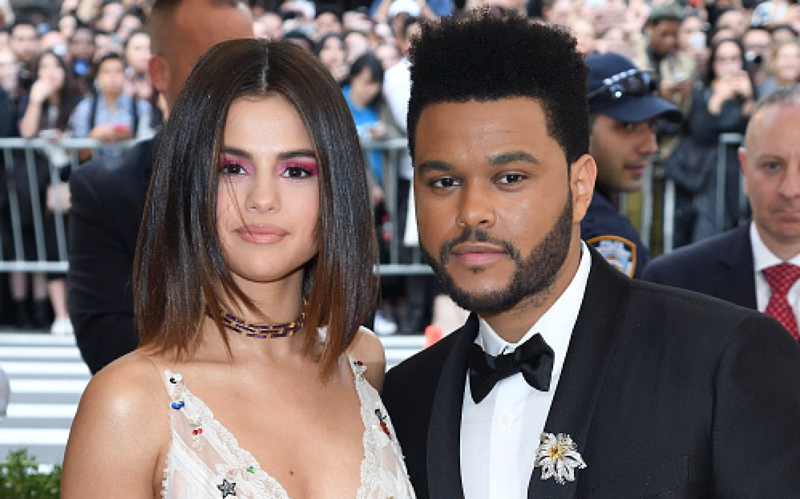 Selena Gomez brought her family to Dallas to see The Weeknd in concert. Meeting the family of a significant other is always serious, we can’t imagine what it would be like to perform for their parents at a concert. Along with her parents, Selena brought her cousin, Priscilla DeLeon, and her nephew, Aiden to the show. They all seemed to have a great time. And it’s so sweet to see the singer supporting her man. It makes sense that Selena chose this concert to introduce the family. The pair have been dating since January, and the show was near where she grew up in Grand Prairie, TX. Also, the show was only a couple of days after Selena’s mom gave her public approval of the relationship. "Glowing, smiling, looking health and equal love," Mandy Teefey gushed. "Mama is happy XO." The couple also have just made their red carpet debut as a couple at the 2017 Met Gala in New York City. And there’s no denying the crazy chemistry between them. We hope the parental approval sticks after the show- The Weeknd’s lyrics can be less than parent-friendly. According to Elle.com, a fan account said that he lowered his voice whenever he sang cuss words. If the account is true, it’s very cute that he wanted to make a good impression in front of Selena’s parents! It seemed like everyone had a good time, and we’re sure they’ll be more family outings in the future.